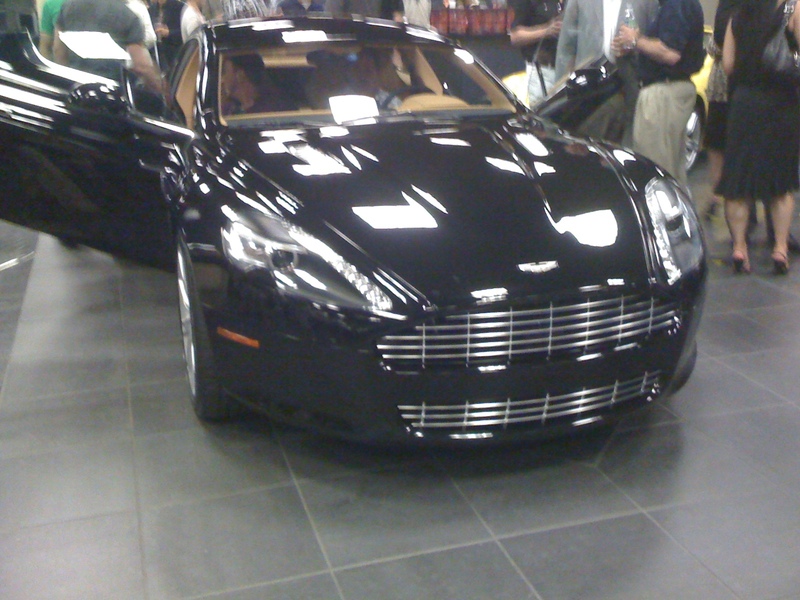 Member CNOTEMD and I went to the launch of the new Aston Martin Rapide at the dealer tonight and I thought I would share a few mediocre iPhone pics and my thoughts on the car..I'm sure CNOTEMD will add some pictures and comments as well. The car is absolutely gorgeous. It really does look like a 4 door DB9 and the fit and finish inside and out is top notch..as it should at 200k. The major disappointment that I had was the room in the interior, especially the back seats. 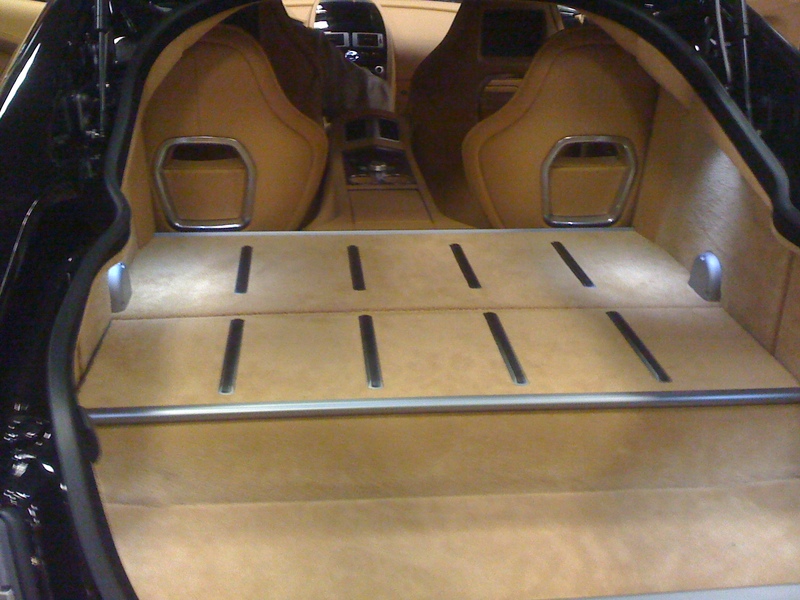 The seats felt great and really hugged you a lot like the sportier seats in the DBS but there was ZERO leg room and I am not a big guy at all. It really is a 4 door car with the back 2 seats being there just in case. After speaking with a few people about it, they love the way it drives but it is obviously nowhere near the M5 in performance but sounds and feels great from what everyone has said. Overall I was very impressed with the car but it really is a 4 door GT and not a sport sedan. Looks nice, but nothing can trump our beasts. Sorry I had to miss this. 2011 Space Gray ZCP E92 M3; two-toned black and red interior; Dinan 4.6 liter stroker engine, intake, exhaust, midsection, pulley, and throttle bodies. Yea it was too bad you couldn't make it man...it is a really nice looking car but as you said it is nowhere near what the M5 offers overall IMO. Last edited by M5 V10; 2nd April 2010 at 05:12 AM. Your pictures came out MUCH better than mine. Since most of my shots were similar to yours, I won't torture anyone with the blurred, grainy pictures that came out of my phone. I really like the exterior AND the interior of this car. It's probably one of the best looking 4 door cars I've ever seen. But its further into the luxury side of things compared to the M5. The car looks great from any angle. I really like the way the doors open slightly "upward and out". Its just one more thing that makes it unique. Unlike the Porsche Panamera, the rear of this car flows very well with the rest of the car. It looks like a somewhat stretched DBS. 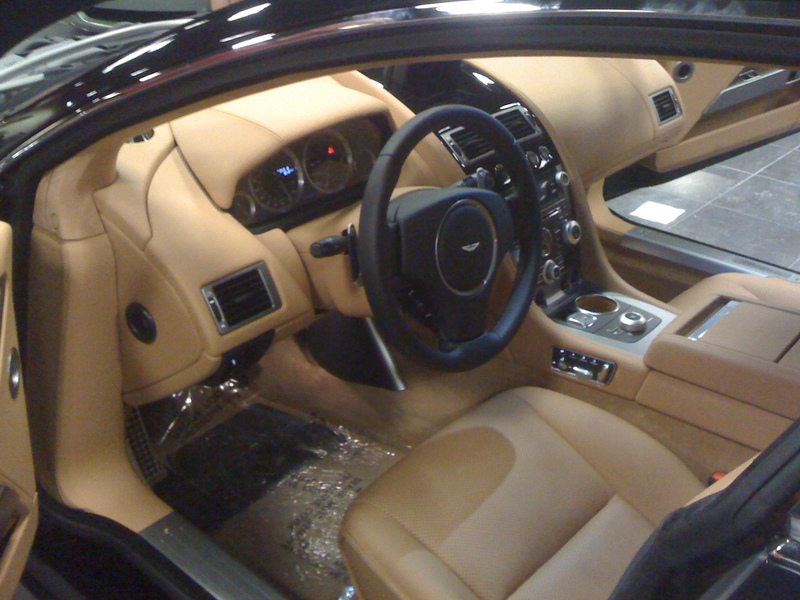 When you sit inside the car, you are surrounded by the highest levels of quality and the overall layout is a work of art. I could quickly tell by the interior that it was more expensive than an M5 (that may be an understatement considering it is over twice the price of an M5). Though, the typical buyer of one of these cars probably won't be price shopping. The front seat interior space was very good, but the back seat seemed very tight. There is a large center tunnel/console, so its a true 2+2 seating arrangement. At 6'2", I could NOT get into the back seat. It seemed more appropriate for those no taller than 5'9" or so. I really wish I could have heard the engine note, but after a night of the interior lights being on continuously, the battery died. well, i can say one thing why m5 is better. M5 fits 5 people when this aston can fit only 4. True, the rear space for passengers is non existant. Sure is a beautiful car even f it isn't all that quick! Thought you got some good videos of it in UK? AM's fit and finish, interior and exterior, are unbelievable. I almost bought a Vantage prior to the M6. Not a "fast" car, but damn they are beautiful, inside and out! the center area in the rear is crazy high......like a privacy screen in an airbus! Didn't know we had all these fellow ATL members here. I got the invite to goto the launch too. That's where i bought my M5. However, i completely forgot about the launch invitation i got.